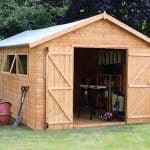 This is an excellent choice if you are looking for a larger than average shed. 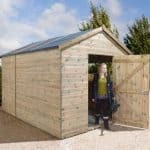 The Larchlap Large Double Door Overlap will work just as well as a garden workshop as for storage of all your equipment, furniture and children’s toys. 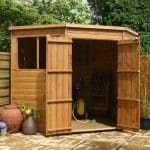 It has six styrene windows so there is plenty of light inside and it has wide, double doors which means it is easy to transport items inside and out. 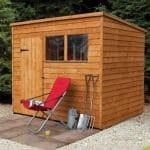 The shed comes with a handsome Apex style roof and it is constructed out of long lasting and hard wearing wood with overlap boards. 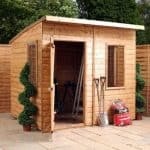 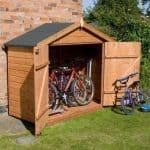 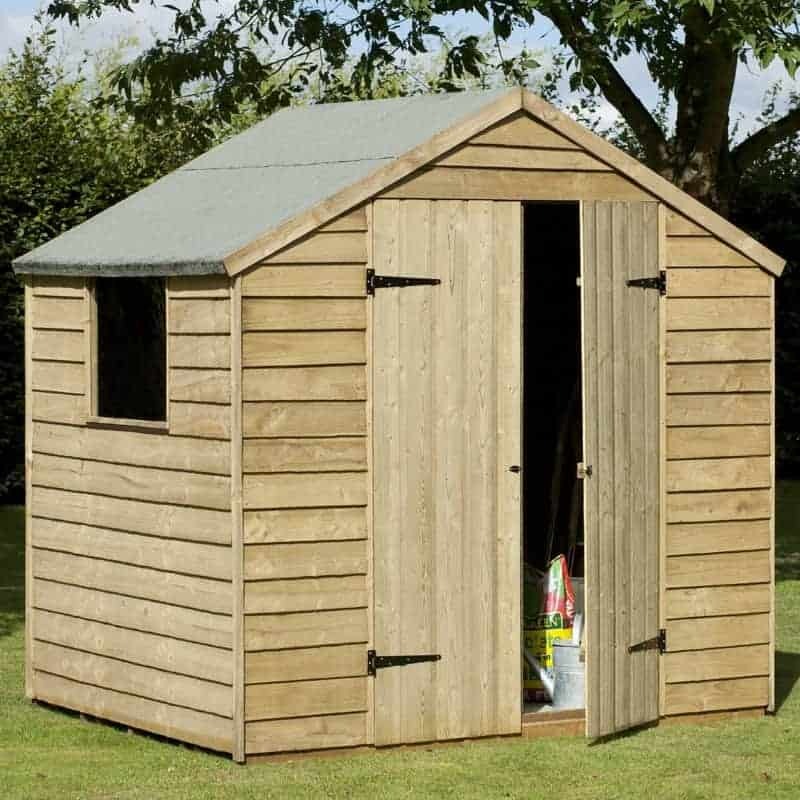 A great value large shed which comes home delivered.